Home / Archive by category "Månegarm"
With the addition of Schirenc Plays Pungent Stench, NECROPHOBIC, Hellfire Deathcult, SÓLSTAFIR, Entrails, Primordial and last but not least Moonspell to perform an exclusive early days set with songs only from their first two albums, the line-up for Stockholm Slaughter 2017 is now complete. 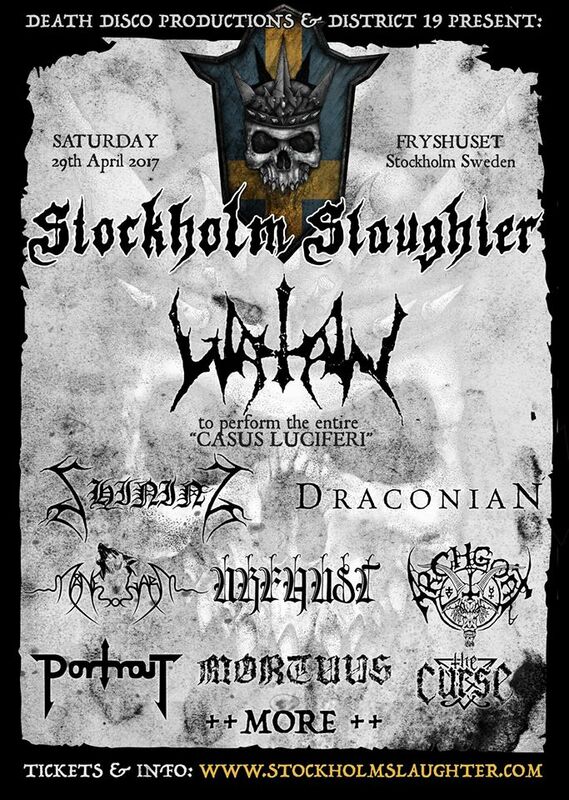 The first band that joined our procession, WATAIN will play their second opus “Casus Luciferi” in its entirety, the only such ritual ever to be performed on Swedish soil. No need to yearn for the old days, the past will now be resurrected and made one with the present! 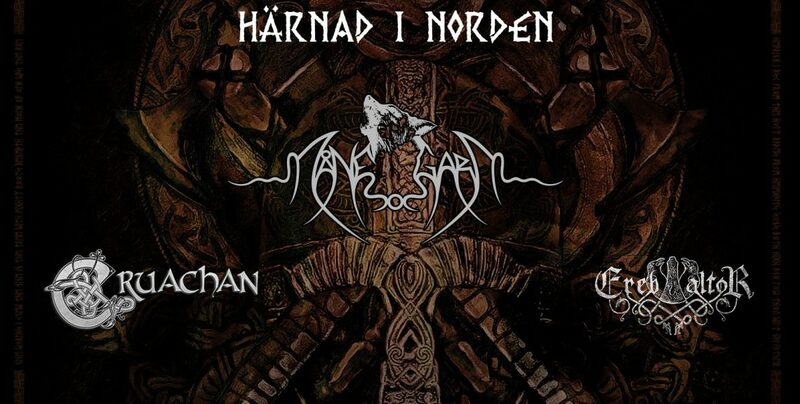 We go back in time to commemorate Scandinavia’s pagan history with one of the oldest Swedish Viking metal bands, Månegarm that will lead the ranks of heathens with a set focused mainly on early releases. With roots in the deep western woods of Värmland, Draconian is returning to Stockholm with their latest gothic/doom-opus, “Sovran”. 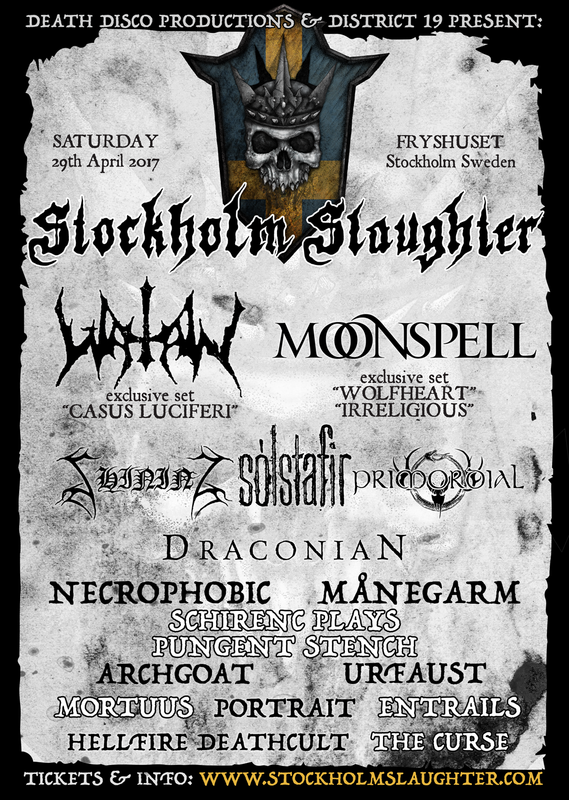 Urfaust, the Dutch cult of delirious madness will be playing on Swedish soil for the very first time while Ritual Butcherer and Lord Angelslayer, the infamous Finnish twins, also known as Archgoat Official will be making their return to Stockholm to preach their “Grand Luciferian Theophany”. Born from the ashes of the underground legend Kaamos, The Curse is set to mesmerize and ensnare with their straight-into-your-face death metal. Portrait’s upcoming album “Burn the World” is set for release in 2017 via Metal Blade Records and their appearance at Stockholm Slaughter will be the first one where material from the new album will be performed live. Mortuus, a dark shadow from Norrland has been forging black metal that pays homage to the most sinister aspects of existence since 2003, yet never performed in Sweden. The 29th of April 2017 will be a steppingstone for the band, as their first ever live appearance in Scandinavia. Last but not least, Niklas Kvarforth will make his long-awaited return to his hometown to perform with his controversial band Shining for the first time in 12 years! Stockholm Slaughter: The Awakening – the past is alive embarks on a journey to make this event a one of a kind experience for a wide audience and build a solid landmark in the Scandinavian metal landscape for years to come. Additional acts to be announced shortly.